EPLAN Software & Service is one of the world’s leading service providers for developing CAD, configuration and mechatronic solutions and advises companies on how to optimize their engineering processes. Since 1984, EPLAN has been growing together with electrical panel and machine builders to understand the changing industry environment, including the needs and demands end-users, middle management and executives faces on a daily-basis. 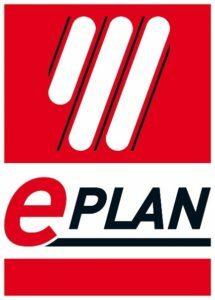 EPLAN USA is a team of engineers, business consultants, strategists and thought leaders based all across the United States that are ready to make a tremendous change in the electrical panel design and building industry. EPLAN makes this possible by making new options possible, driven by innovation, technology and entrepreneurship. EPLAN provides an international standard that has been “improved in America” to provide our US customers the resources in order to remain competitive in the ever-growing competitive market. EPLAN thrives to enable their customers to utilize their expertise more effectively in a changing global environment.